Starting a new blog and increasing blog traffic is a proven system that big blogs use. And my newest blog has grown its traffic quickly. Before I go into that, this blog, Twins Mommy, started two years ago and in it’s first month I grew my blog to 4,000 pageviews. I was ecstatic and so happy. I decided that I wanted to try to grow my blog traffic for Twins Mommy. So, on my blog, I charted my journey to grow this blog. I have grown the Twins Mommy blog to over 60,000 pageviews! And my blog before that? To 88,000 pageviews. At this time, I realized that my passion and strength in blogging is my strategy to grow blog traffic in different blog niches. One of my passions is digital marekting. It’s my freelance writing niche and it’s what I blog as the big umbrella for Twins Mommy. I want to help other mom bloggers to market their blog so that they can create income. And the #1 way to create income is attract traffic. The more traffic you have, the more income you can potentially generate. So, it’s no wonder that any new blogger is looking for that blog traffic recipe to get their blog on the map. To help my audience, I wanted to try growing traffic in other blog niches. Is it easier to generate traffic in a health niche? Or a parenting niche? So, part of my new business plan is to build up niche blogs. This blog has been around for a year and has about 34 blog posts (but around 5 were irrelevant or too local and personal). Traffic was low however as this blogger stopped blogging. 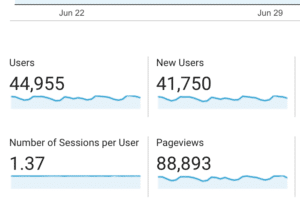 So on average it was getting below 50 visitors a day. We bought the blog in January or February and didn’t do anything with it for a while. It was generating around 400 pageveiws a month with no new content or much promoting. After a month of working on Imperfectly Perfect Mama, I grew that blog to 40,000 pageviews. Not only that – the Pinterest account for Imperfectly Perfect Mama was around 52k monthly views (it was actually lower, but I was nurturing this profile by manual pinning a few times a day when we got the blog early this year). Within that first month of working on the blog and using a new strategy, the monthly views grew to over 1M. How did I increase blog traffic and pageviews this quickly on a new blog? With Twins Mommy, it took me almost year to gain 40k pageviews. Since I’ve been blogging for a while, I’m learning that each time I start a new blog, I get better at optimizing it for blog traffic. 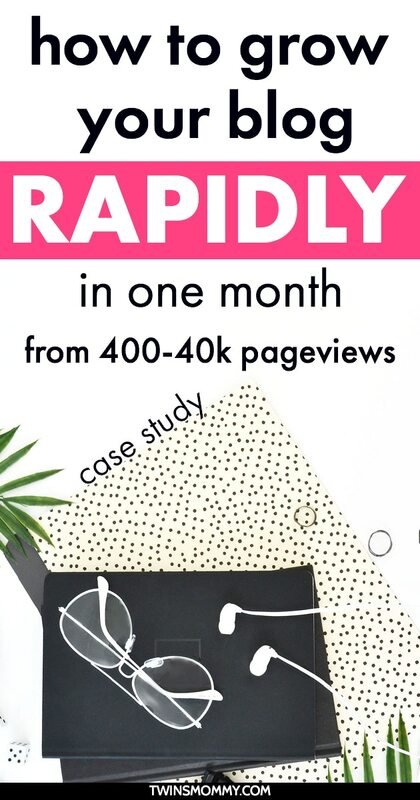 Here are the tactics I used to go from 400 pageviews a month to 40,000 pageviews in 30 days. We ended up using a new customized theme (that my hubby created) to start branding IPM the way I wanted it to look and feel like. Even if your blog has been up for a year or less, you can change your WordPress theme to revamp your brand and get more eyes to your blog. What many bloggers do is move from free WordPress themes to a paid or customized one. Simply doing this one thing will increase your blog traffic. Why? Well, people are curious and want to see “this new look” you have on your blog. You can hint at this in your email or on social media and unveil it to them when you’re ready. For this new theme, I wanted to focus on the different niche topics on IPM and make this the home page. I noticed other bloggers doing this as well like Stacey of the Soccer Mom Blog. Since none of the blogs I already have use this style, I wanted to try something different for Imperfectly Perfect Mama. I don’t remember what the old logo was, but I knew I wanted to update it to make it more my brand. I used a script font to highlight Perfect and it turned out great! If you want to create a logo, Canva is a great free editing tool that I used to create most of my logos. Here’s a video tutorial on creating your blog’s logo! The biggest impact for increasing my blog traffic is making this a guest blog where bloggers can submit their blog posts. The advantage of having a multi-author site is that you can create content faster. And I know for a fact that the more content you can create in a set amount of time grows your blog traffic. I’ve proven it multiple times on Twins Mommy and with my other blogs. So, I strongly believe that getting to that 40k pageviews in one month is due to the bulk of content that was published in relation to before. From April -May I had 13 blog posts published. The last blog post published before that was in December (four months prior). So to go from no blog posts to 13 in one month is a huge shift in Google’s eyes and with marketing on Pinterest and Facebook. I knew already that I wanted to promote this new blog mostly on Pinterest. Gaining Pinterest traffic is much faster than getting Google traffic (SEO traffic). So, this meant my main content marketing plan was to attract pinners to Imperfectly Perfect Mama. The pins for this blog before I took it over varied in color, graphic and size. So, I couldn’t base my template on what was already there. Instead, I researched on Pinterest and whatever caught my eye I took note. From there I created colors that were web friendly and that were bright and bold. One thing that I’m doing differently with my pin images for Imperfectly Perfect Mama is to use paid stock photos instead of free stock photos. Pinterest looks at your pin as a whole when you publish a new pin. Since Pinterest doesn’t know what your pin is about it looks to your colors, images and words on your font to get an idea. So, using free stock photos can “fool” Pinterest and categorize your pin incorrectly. While this hasn’t happened to me (I use mostly free stock photos), what I do to make my free stock photos more unique is angle them differently or don’t include all the image in my photo. With the quick boost in traffic, I can attest that using paid stock photos can help reach your blog traffic goals! Imperfectly Perfect Mama is an aged domain. I didn’t buy this website brand new; it’s about a year old. This is a great time to start optimizing your blog for Google traffic and ranking. And the first step in doing that is to first rank in Pinterest. This is the new blogger doorway to getting ranked in Google. 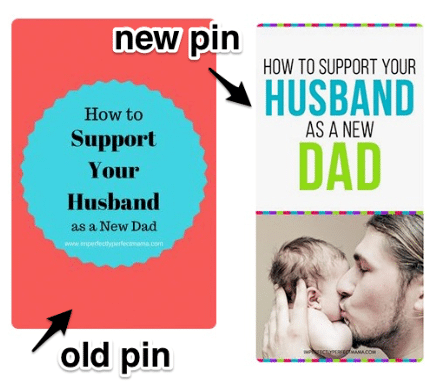 And the first two posts that went mini “viral” were, How to Support Your Husband as a New Dad. 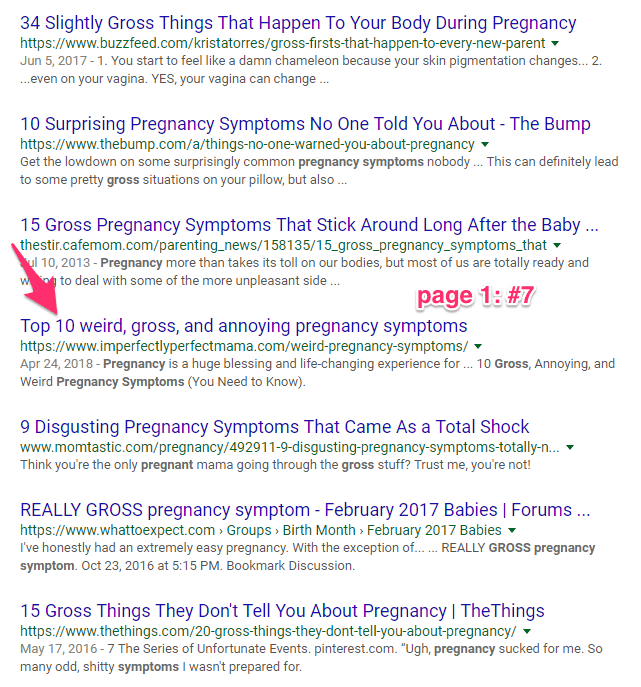 The second one is a guest post from Mallaury of Life of a Babe – 10 Gross, Annoying, and Weird Pregnancy Symptoms (You Need to Know). When searching for gross pregnancy symptoms this post is on page one, 7th down. 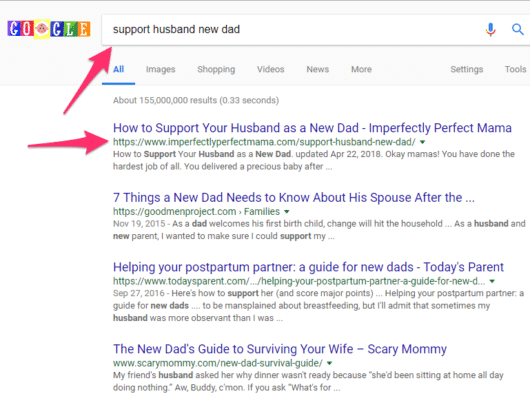 So, when mom bloggers submitted their guest post idea, I researched that topic idea on Pinterest and Google to see if I can include some related keywords and optimize it better for search traffic. In the month Imperfectly Perfect Mama grew its traffic, I used Board Booster to loop the main blog board on Pinterest. But, I recently stopped using Board Booster and am now using Tailwind to grow my blog traffic. For Tailwind, I will schedule 20 pins a day since Board Booster was looping around that many. Since I have enough pageviews, I can sign up for ads to be placed on the blog. This is happening now and hopefully the ads will be up soon. While this won’t give me $100 dollars a day, it is some income. I also plan to do some Amazon affiliate marketing but it’s not a goal at this moment. Right now, I want to keep building my traffic and give a platform for the mom bloggers that contribute. There it is mamas! A plan to grow your pageviews as a new blogger! Tell me in the comments your journey to growing your blog traffic! I want to hear and help you! We are doing this together mamas! These are great ideas! I’ve been trying some of them out on my own blog, http://www.ourlittlebunch.com recently. I’ve revamped my WP theme, nailed down fonts and colors I want for my “brand” and redid a bunch of my featured image graphics too. I still want to go back through my posts and update some of the content and pin images, but it’s already looking much better than before and I’m starting to see an increase in traffic (even if only a small increase for now). Thanks for the great advice Elna! I love hearing this! Taking action and applying it is awesome! Way to go! Great post! Well written and I learned a lot from you. Thanks for stopping by! Yes, growing traffic is a challenge if you don’t know how to do it! I hope this one strategy will help you! I’m really trying to get a handle on Pinterest (I’m a new blogger), since I know it’s a game changer. It’s seems a little more intimating than I initially thought. However, thanks for the tips! Yes! Pinterest is where it’s at. I love using Pinterest to market my new blogs! Hi Elna, Great result and well done on all of your hard work. Did you use the IPM’s Pinterest Account for extra traffic or did you also use your other Pinterest Accounts? Do you have any tips for finding blog owners who have lost interest in their blogs and might be willing to sell them? Thanks for the great content. I created a new profile for IPM for sure! Thanks so much! As for finding bloggers that want to unload their blogs, I found success in Facebook groups! This is first time I read your blog and seriously your article is awesome. I also want to increase my blogs traffic and I am sure that after reading your article I am able to increase traffic on my blog. Thanks for always providing such great information. I love your honesty. I’m taking your traffic course right now, which I love. I just need to start using tailwind. Thanks for being an inspiration to me! Love your blog! So inspiring for us mamas! I hope you are enjoying Ready Set Blog for Traffic! Yes, Tailwind is a game changer for sure! How do you manage juggling so much and doing it so imperfectly perfect ;-)! Ha! That’s awesome! Yes I have many blogs now: Elna Cain, Twins Mommy, Smart Mom Ideas, Imperfectly Perfect Mama, Freelancer FAQs and LifeStyleBody. But I only focus on the core four or three in different ways. Ha, I’m getting good at typing fast and coming up with blog content ideas! For me I lose focus if it becomes too overwhelming. And when that happens I just divert my attention to creating Pins! My happy place 🙂 That’s awesome you are on the front page of Google so early! Congrats! You are full of information and actionable tips! A great by-product is that you share the “down and dirty” results you get from your strategies and that gives readers hope and inspiration when struggling with a problem on our own blogs. Great post! I love how you shared from your experience, adapting it into a strategy others can use! It just gives more weight to the advice. Thanks so much! 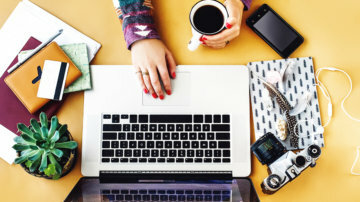 Glad you found some tips to boost blog traffic for new bloggers. Increasing your blog traffic can is a journey of trial and error! I was amazing that Imperfectly Perfect Mama grew traffic so fast! Thank you for taking the time to post your Case Study. I love how detailed and thorough you are. It really is an inspiration for Newbie Bloggers like us. I cannot for the life of me crank out so many posts a month. I have a hard time managing with just 4. Because I create illustrations for each post I make and that takes me a hell lotta time. I’ve just started using Tailwind and I stopped manually pinning. BIG MISTAKE. I realized that both are needed in order to grow so I’m pinning a lot more. I’m going to try and make more images for each blog post so I can become a Pinterest Goddess. Yes, IPM does have a lot of amazing mom bloggers and it’s easy to publish content quickly, but for my own blogs it is a challenge. That’s why I like to pick a time frame and write every day during that time frame (like 10 days). It helps! Yes, manual pinning does help get new pins out there faster then Tailwind. But Tailwind is great for your other pins! They work hand-in-hand! Love it- you are a genius at this stuff! I’m new to the blogging world (my daughter is now a teenager- don’t know how you ladies do it with younger ones!!!) I can’t believe how much there is to learn about everything blogging related- it’s a whole new world for sure but I’m loving having my brain working. Thanks so much for all your tips! Congratulations! You make me feel like it’s possible if I keep going. For me I know what I need to do, I just need to find the time to execute it. Thanks for the inspiration! That’s great to hear! Glad you found a plan that will work for your blog traffic goals! Good luck! Thanks for posting this case study! It’s interesting to see how a blog’s traffic can skyrocket with the right traffic strategy. I definitely think that posting more frequently is one of the key ingredients to ranking higher in SERPs and Pinterest, too (especially when you’re targeting for keywords). One hack that new bloggers can use is to take a few months to crank out some valuable and SEO-optimized content (10-15 posts/month) so that they have a base of content they can keep looping through Pinterest. This will also give new bloggers the opportunity to see quickly which topics resonate the best with their audience. For my own SEO strategy, I like to first rank for keywords on Google then backtrack to Pinterest. Sometimes, I’ll use specific SEO title tags just for Google and separate, catchier titles to go on Pinterest pins (thank god for the Yoast plugin!). I noticed sometimes that Google keywords and Pinterest keywords don’t always correlate, and what may rank higher as a keyword on Pinterest may end up being a less popular keyword on Google. I also have a digital marketing background so I love to nerd out to case study posts! 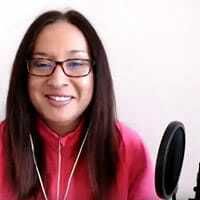 Thanks so much for your tip on SEO and Pinterest marketing! Love it 🙂 I’m a geek in all of that too as my niche in freelance writing is digital marketing. I can see the value of building your traffic first with Google and then Pinterest, but for a lot of new bloggers Pinterest is the gateway to Google. So I teach and promote my strategies in that journey – Pinterest SEO to get to Google ranking. But, you are right, the same keywords don’t always correspond to each respective platforms! Wow Elna! That traffic is amaze balls! I have a new title for you “The blog traffic guru.” You earned it. 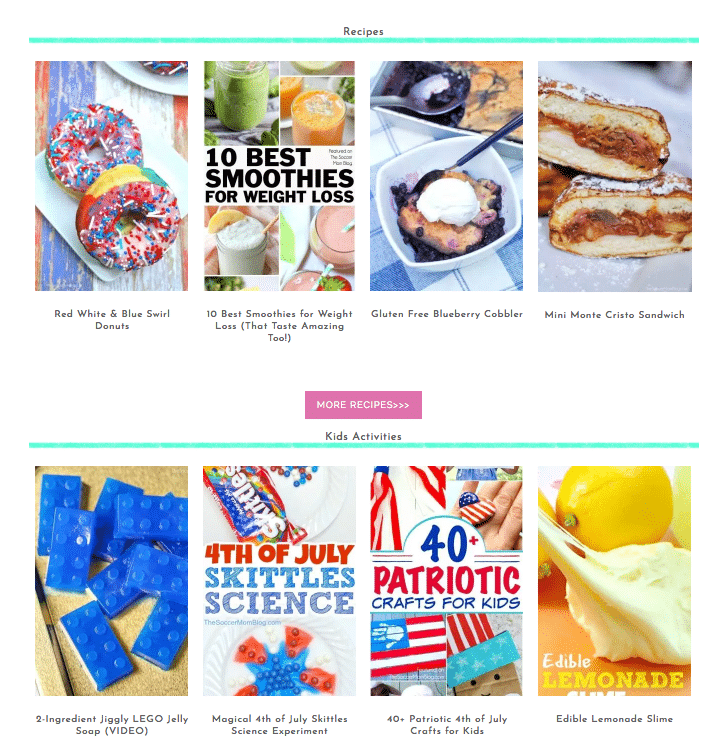 Great strategy, love the pins, colors and everything you’ve done with your new blog. Awesome 👏🏼! Thanks for sharing these tips, Elna! 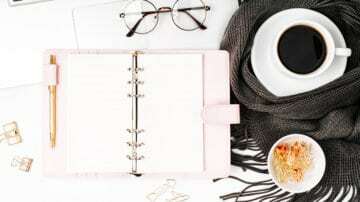 I’ve always believed that it takes a long time to get any traction on Mom niche blogs but it’s very relieving to know that it IS possible to grow so quickly. Also, the pins for Imperfectly Perfect Mama really do stand out. I’ve noticed that for my own blog, the pins with a white background and bright accents (as opposed to a bright background and white accents) tend to get more click-throughs. It seems like you’re having the same experience. Congratulations on this huge success and thanks for sharing your steps. Pinterest seems to be playing a big part in your strategy. The best thing is to focus, rinse and repeat what already works for better results. I want to start on Pinterest as a completely new user. Where do you recommend I start? Thank you for sharing your strategy and Big Congrats on your Success. I was also thinking about the blog posting…I started my blog mid of March and I had about 15 blog posts prepared which I published over the period of 3 or 4 weeks and my traffic for 6 weeks was 17800+. I think I might have to try the strategy again to confirm if it really works. Also, thank you for reminding about having an image on pins…I have to try this too. Thanks so much! So glad you found success with that traffic hack and that you’ll try it again to make sure it wasn’t a fluke! Pin images on your blog do serve well for traffic so I’m glad you’re going to try that out! Elna, another fantastic post! I’m happy that IPM is GROWING & I’m happy to be part of the club :)!! Quick question: for a “regular” blog, meaning, one that is not a contribution based blog like IPM, would guest blogging be as simple as having a group of bloggers in my niche contribute posts to my site? Would this work for my kind of blog? How do you manage their submissions (for SEO specifically) Do you optimize their posts or do they do that? Based on your stats, guest posting and contributing definitely work but I’m afraid to open those doors and not being able to manage/optimize people’s submissions. Thanks so much for always producing amazing and practical content!! As for a regular blog you can privately email some bloggers and ask if they want to guest post on your site. Many mom bloggers do this when they are about to give birth and will be out of commission for a month or two. So you can totally do this! I’ll be writing a post on how to open up your blog for guest posters and will address these points but the best way is to have the guest create their user profile and upload their post for you. Then you can edit it and optimize it for SEO. I don’t expect or want the guest blogger to do that as that can be a time-consuming part. I hope this helps!